I don’t understand why there is a 7 character code on 529 Shields. Seems very 20th century. Why not join the 21st century and use QR codes to make the bike more easily scannable? Everyone has smartphones today! QR, or quick response codes have been around since the early 90’s. From a technical point-of-view, they offer a lot of benefits over their predecessor, the barcode. Since QR codes have been introduced, they have had a mixed success rate. They have become very popular in manufacturing, shipping, logistics, transportation and other industry applications. While they have repeatedly been promoted in the advertising and marketing domain as the “next big thing” a number of times, they’ve never taken off. The reason for their popularity in industry is due to the technical benefits that they have over barcodes. 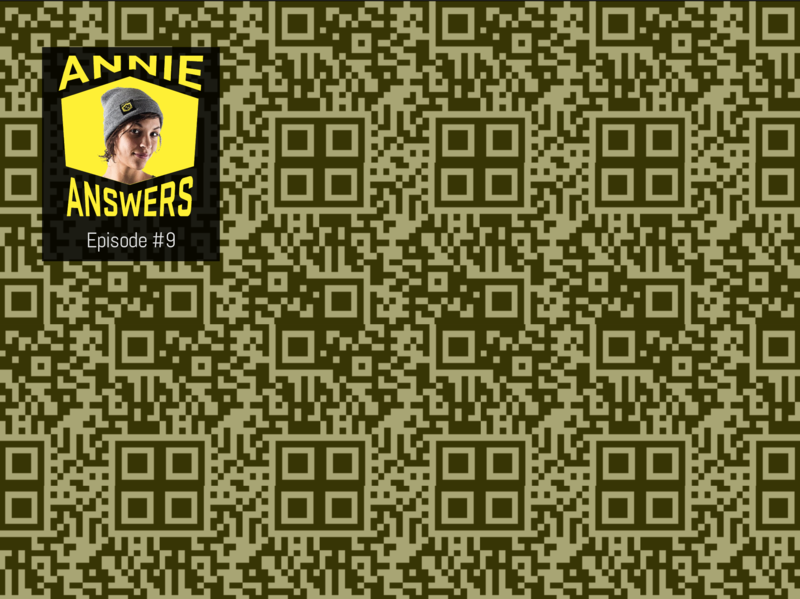 The biggest benefit is that QR codes have a much higher “information density” than bar codes. This means they can contain a lot more information in a single image. QR codes also have built-in error correction – even if damaged they can often still be read accurately. Combined, it’s a more powerful solution for rapid scanning of information on a package or product. In terms of attacking bike theft, the 529 crew determined it wasn’t a good fit. Other bike registries such as Bike Shepherd and My Bike Number have chosen to go this route, in our study of the problem, we saw a number of deficiencies. In general, we viewed the 529 Shield as being similar to a license plate on a car – and wanted to make it as flexible and compatible as the automobile plate (with a few improvements). The biggest challenge we saw was compatibility with law enforcement efforts. Take license plates. A license plate is easily read, recorded, shared and searched by virtually any human or computer system. It is radio compatible, notebook compatible, email compatible, database compatible, text message compatible – you name it. By virtue of the 529 Shield having simply 7 alpha characters to deal with, its compatible with virtually every police system and protocol in the world. The smartphone requirement (or dedicated reader) also gave us pause. While smartphones “seem” ubiquitous to many of us (especially those reading blogs like this one), the fact is they haven’t been adopted universally. We are big believers that protecting your bike should be an option for everyone and requiring a smartphone to protect your bike (or to participate in the community effort) is something we didn’t want to do. We have plenty of web-only users and many users that don’t own their own computers (some that don’t have e-mail) – 529 has their backs as well. And, even though we’re high-tech folks, sometimes solving a problem for us is just easier – asking someone with a problem to “email us their Shield ID,” or typing one in a Slack channel is a ton easier than trying to pass around QR codes in the various systems we use! Looping back to law enforcement, ten full years after their ascent in mainstream society, many of our partners have still not been issued smartphones in the field, and back-end police systems aren’t very modern. Remember that scanning the code is just one part of the equation, other systems like dispatch, records management, property office tools, etc. also need to be updated to be QR compatible. While much of that is changing, change is slow (for some good reasons) and we wanted to not be forced to follow this adoption curve to address bike theft. None of this is to say that QR codes don’t have a place in the battle against bike theft at some point. We’d love to see manufacturers adopt QR codes as a replacement for hard-to-read and non-standardized serial numbers. It’s a perfect application for encoding the details of the bike and would benefit not just bike theft, but logistics, supply chain and even bike maintenance. For the foreseeable future, we are strong believers that adding the simple, human readable, 7 character 529 Shield is a great advantage in the war on bike theft. Pick one up today to add it to your bike registration if you haven’t already. They let would-be-thieves know that its registered, they allow the community to run your bike on the system quickly if it goes missing and help police recovery efforts.